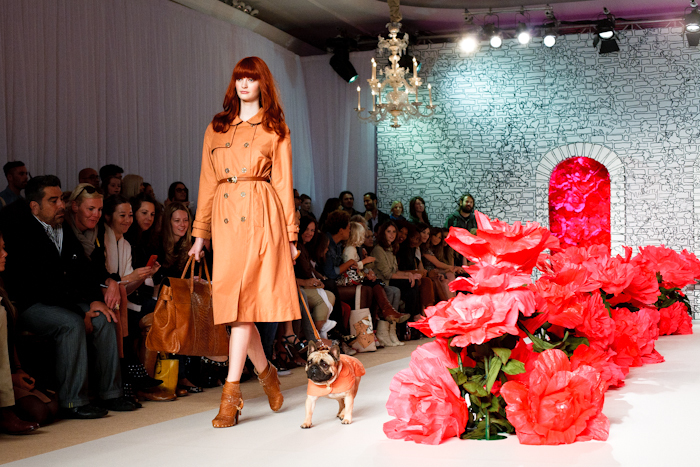 Mulberry held their Secret Garden/Grey Gardens inspired show on Sunday, aka bring your kids and dogs to work day. 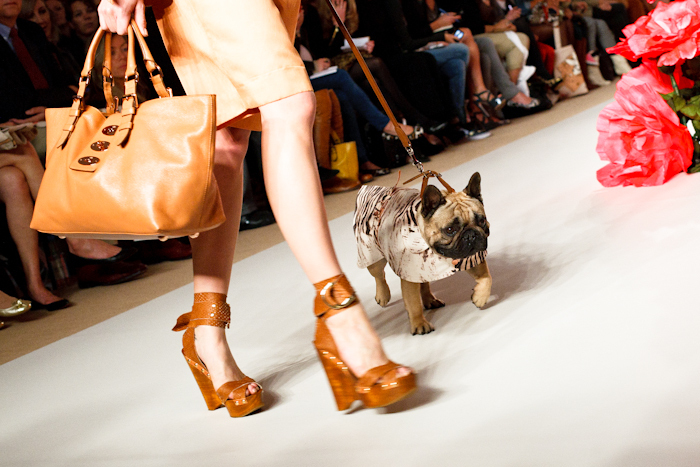 I presume the various puppies in the audience were shopping for their next season wardrobe, so good thing that Mulberry had an adorable French bulldog modelling little dog jackets and getting people awww-ing. But back to the human clothes! 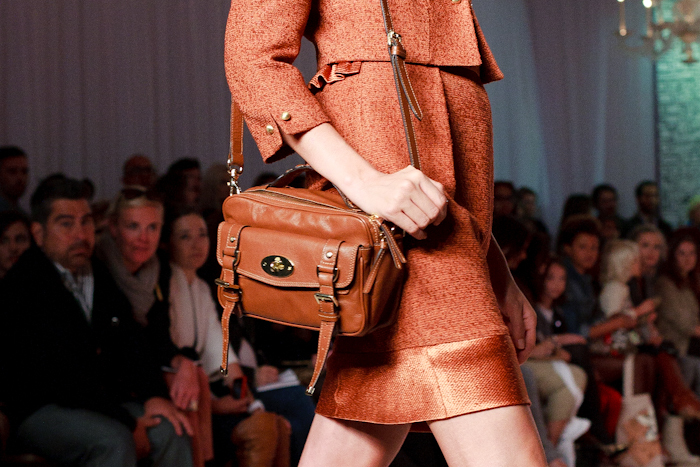 Everything was super wearable and very Mulberry – cute without being cutesy. Hemlines on shorts and skirts dropped to the knee and mid calf, so it was a slightly more grown up collection than last season. Love the peach/apricot/electric blue/cornflower blue colours and the odd multicolour tiger print. Nice wooden wedges, ankle boots and new takes on their classic bag shapes too. The real question is: how do I get my hands on one of those ginger wigs? Dream hair right there. wouaaa your pictures are amazing, very gorgeous ! I really like the colors, the red hair are so beautiful!! 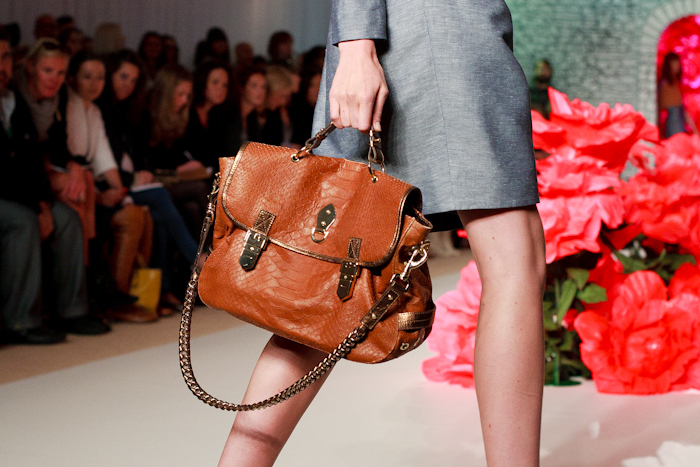 you are so lucky to see the mulberry show !! the quality is perfect ! makes me wanna go back to that colour! Those bags are so perfect! amazing pictures, you show the colours off really well. i love this collection and hell yeah for red heads! Wow, so pretty! I just love the coats, shoes and bags! Thanks for posting this! I love the little matching outfits for the dog, but I’m not sure our spaniel would let me dress her up like that! The indigo Bayswater is beautiful though, exactly the colour I’d choose. 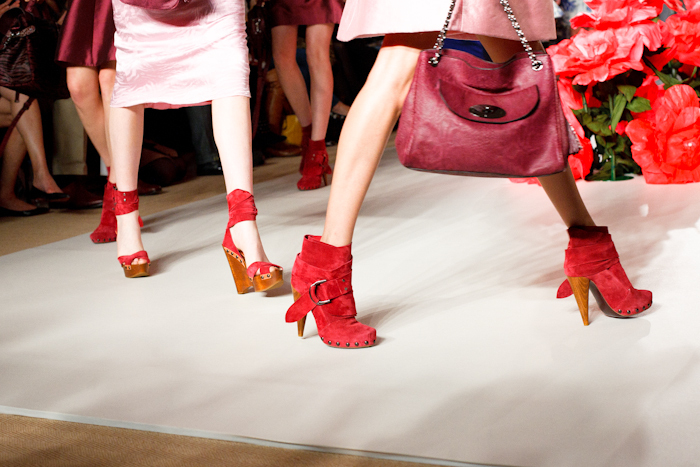 Love that cornflower blue color and the pops of red in the shoes. I love all of the bags too. And your photography is beautiful, as always. Also, I’ve been seeing a lot of red hair everywhere the past couple of years…I guess it’s become the new “it” shade to dye your hair? You got such good pics! The pug/s were just amazing at the catwalk.. showed up the models one of which took a tumble in the show that I saw. You should totes dye your hair like that Kris. Me want that little Bayswater shoulder bag and its lovely ultraviolet big sister! I am in looove with the bag 3rd from the bottom! Amaaazing. Looks like a great show! damn love the colour of their hair! Wow those red wigs, makes me miss my copper red hair! Love the collection as well, need those peach coloured pants in my life! oh my! these are wonderful photos! Perfect collection! The clothes, the colors, the bags – pure perfection. 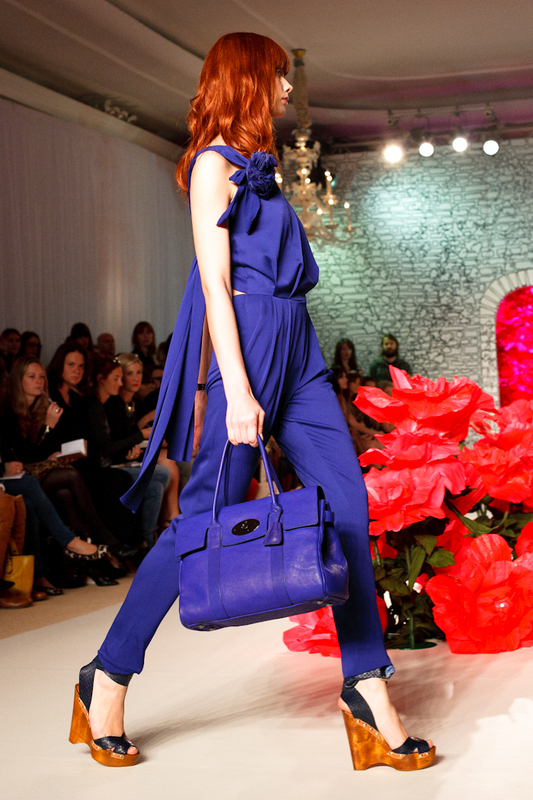 mulberry and their exquisite color palette. You’ve captured the hues perfectly. So vibrantly saturated! 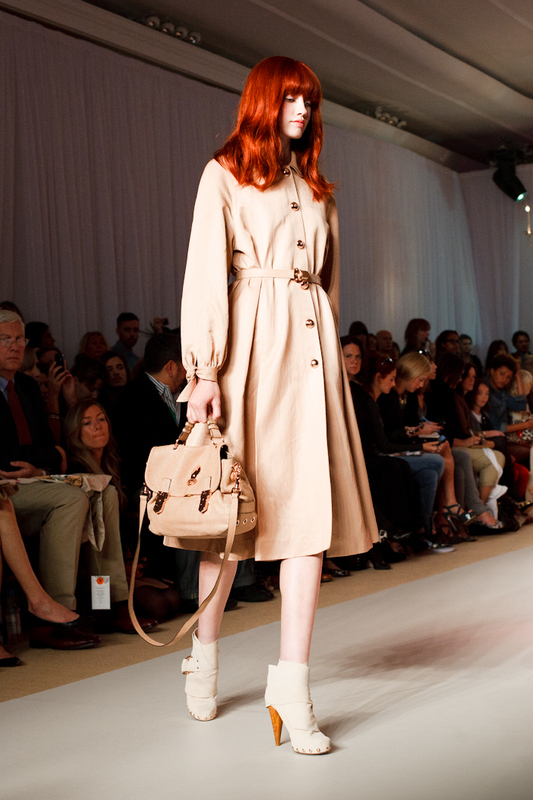 I love red hair and this latest collection from Mulberry. 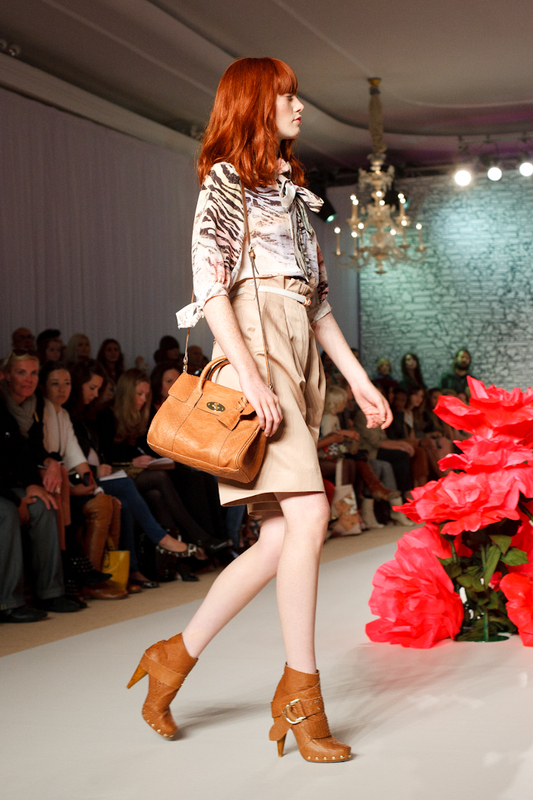 I especially like that floral blouse in the last photo and the bags! Thanks for the glimpse into FW.